It’s a lucky company that need travel no further than its own backyard to show cutting-edge examples of its technology. These days global manufacturer S&C Electric Company is one of those companies. S&C was an early player in microgrids, automation and other smart grid equipment. Now its home city – Chicago – is fast becoming an epicenter for such technologies. One local utility, Commonwealth Edison (ComEd), is planning a microgrid cluster with the Illinois Institute of Technology (IIT). 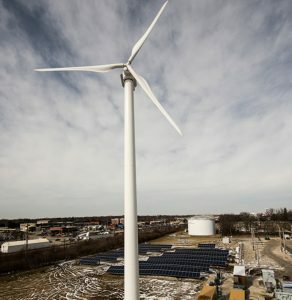 Another local utility, Ameren, last year began operating a sophisticated microgrid that achieves first-of-kind technology feats on the distribution grid. Both the IIT and Ameren microgrids use S&C equipment. But not all utilities are moving as quickly as those in S&C’s backyard. In fact, some are dodging change. 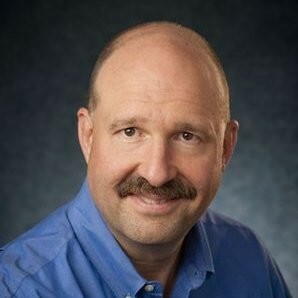 In a recent interview with Microgrid Knowledge, Kyle Seymour, president and CEO of S&C Electric Company, offered insight into the complexities these utilities face as microgrids and distributed generation gain presence on the grid. Below is a Q&A culled from the conversation. Microgrid Knowledge: What worries utilities about the escalation of microgrids and distributed generation on the distribution grid? Kyle Seymour: They can cause the voltage profile to shift, fault current levels to change and system stability to change. This occurs because the traditional grids were designed for the one-way flow of power — from large generating stations to users over transmission and distribution lines. Distributed generation changes the flow. Another problem involves lack of spinning reserve as you introduce more distributed generation. Traditional fossil fuel generators provide spinning reserve for the grid, while renewables like solar do not. With spinning generation, there is a lot of inertia. So, if something happens, a disturbance on the grid, the spinning mass buffers that effect. In some places solar is replacing a lot of large spinning generation. When the amount of distributed generation is small, a utility can handle the lack of inertia. But the bigger that penetration gets, the less the utility can buffer the system and the greater the impact. This requires you to think differently about the grid. If the utility does nothing, these are significant threats to the stability and performance of its grid. Many utilities see microgrids [a form of distributed generation] as the enemy for those very reasons. Yet distributed generation and microgrids can actually increase the overall reliability and performance of the power system — as long as there is effective communication over the interface. So microgrids can be a threat to the system. But you mentioned that they are also the solution. How so? The more distributed generation that comes into play, whether it’s on a user site or connects to the distribution grid, the more need there is to segment into smaller pieces that can be managed. That’s where the microgrid comes in; it orchestrates the system. 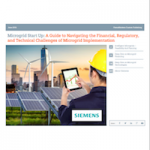 Are there actions that utilities need to take before installing microgrids? First, they have to get out of the 20th century and into the 21st. Our view is that automation of the distribution system is a necessary pre-condition of being able to interface with microgrids. That means smart switches. The automation gives you the essential information you need to manage the interfaces. And if the microgrid wants to feed power back into the distribution grid – and that’s what everybody wants to do – grid automation is essential. We do a lot of work around the world. We find the most extreme cases on islands, such as Hawaii, Ireland and the UK, which have pushed heavily into renewable generation. I was talking to a utility in Ireland with an electric load of 5 GW that they serve with 3 GW of wind power and 2 GW of conventional coal. One GW more of wind was coming on board, which would make 80 percent of their generation from wind. But the key thing was that they had another 5 GW of solar requesting interconnection. That would mean all of the generation that provides spinning reserve would be replaced. Their regulator was telling them they were going to have to operate like a system operator, like our independent system operators in the U.S. They were terrified of that because their grid is a 20th century grid that doesn’t have modernization and automation. They haven’t made the investment into automation technology that would allow them to see what is happening on the distribution grid, much less allow them to control and balance all of those sources. They have to know where the generation is. They have to know how to prioritize who generates and when. If you haven’t automated, you cannot play that role. Are there other reasons to automate? Ameren microgrid in Champaign, Illinois. There are good reasons to automate simply for reliability improvements. We just helped a customer do that. Systems built in the 1970s or 1980s have automatic circuit breakers at the substations and a lot of fuses on the lines. If there is a disturbance, say a squirrel shorts out a transformer, a fuse blows. The utility has to send a truck out to find the problem and fix it. They don’t really know where it happened because their system is not automated. Basically, they find out because people call them up and say my power is out. Or maybe they have it set up so that the circuit breaker operates. That saves the fuse from blowing, but blinks everybody on that feeder when the circuit breaker opens up. So utility customers are without power for some period of time. If they start putting intelligent switches onto their grid, they can now segment it into smaller and smaller pieces. The smaller the segmented piece, the less it affects the overall system performance when there is a disturbance. The disturbance is isolated. And if it’s an automated switch, it is a communicating switch. It tells you where the problem is. So segmentation narrows the problem and also communicates to you about the problem and where it is. It makes restoration faster and makes the overall system performance better — because it stays up rather than goes down. Utilities in Illinois appear to be ahead of the game. They are already installing microgrids. What’s next? The next step is to start to connect multiple microgrids together and have a control mechanism that manages those collective interfaces. That’s what ComEd is doing with Bronzeville. They are going to interconnect it with the IIT microgrid and work on the control issues. If you look out into the future, you can see this becoming the model — many microgrids all interfacing and interconnecting with the main grid. The grid of microgrids. Join us at Microgrid 2018, May 7-9 in Chicago, where S&C Electric’s Kyle Seymour will participate in an onstage interview, “Why Illinois is Home to Two of the Nation’s Most Sophisticated Microgrid Projects.” He will be joined by Terrence Donnelly, Commonwealth Edison’s executive vice president and chief operating officer, and Ron Pate, Ameren’s senior vice president operations and technical service.